As a mom of three, I’ve been through a lot of baby products. When it comes to sleep, no product can replace established healthy sleep habits but there are certainly some tools that can make our lives a lot easier! I like to say that a sleep product in of itself isn’t likely to transform your child’s sleep but they are a piece of the puzzle for healthy sleep. Below you will find my favorites! I searched far and wide for a product that worked as well as my classy tin-foiled up windows and this is it. Not only do these get your child’s room PITCH black, they also keep out heat, cold, and outside noise. And they are super affordable! With three kids in my house, it gets LOUD. I went through a lot of noise machines to find one that was sufficiently loud [but not too loud!] and that had a variety of sounds that were pleasant. I have this noise machine in my kids’ rooms AND my own room! My second favorite noise machine is the Dohm - find it here. If you’re looking for a portable noise machine for travel or daycare, this is my fave. When choosing a lovey for your child, we need to make sure it’s safe and age-appropriate. Ideally loveys shouldn’t be much bigger than your child’s head and made of a breathable fabric. These Lulujo loveys fit the bill and are SO cute! The bunny is my favorite but they also have puppies, llamas, sloths, and even yetis! You can find my second favorite lovey here. The transition out of the swaddle can be a tough one but with a great transition product like this one, we can make the switch a lot easier. I’m a big fan of this Sleepsuit as well as the Baby Merlin’s Magic Sleepsuit. If you’ve ever had baby sleep in a playpen, you’ll know the mattress is often far from comfortable. With my 3rd baby, I tested every playpen mattress I could get my hands on to find the comfiest one and the Nuna takes the cake, for sure. It’s also SUPER lightweight and incredibly easy to fold up - you can do it one-handed! Any video monitor that’s also called a ‘sleep trainer’ you know will be a winner in my books. This thing does it all. Crystal clear picture quality, temperature and humidity sensors, automatic sleep tracking and personalized sleep tips, and a sleek wall mount that hides cords. The Cadillac of video monitors! This swing has lasted me through 3 children, two of whom LOVED to sleep in their swing. Most babies prefer a good vigorous swing and this one fits the bill! I also like how it can swing in two different directions and a range of different speeds, which can help when trying to wean baby off the motion. When swaddling baby, especially during warmer months, using a blanket with a breathable fabric is a must. You also want the blanket to be over-sized and stretchy - this makes swaddling much easier! My absolute favorite are these A+A blankets, I must own over 30 of them! They have also turned into two of my children’s ‘blankies’ over the years as well. Must-buy! 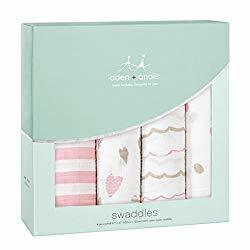 Aden + Anais also makes my favorite breathable crib sheets - find those here! A nightlight can be useful both in a baby or toddler’s room. I don’t recommend keeping a nightlight on for the duration of sleep for a baby but for the bedtime routine or any middle of the night diaper changes, using a dim light can be helpful to keep things low-key. Once a toddler has requested a nightlight, it’s okay to use one but we want to make sure it’s both dim and ideally in a red/orange color family, so as not to interfere with melatonin production. Salt lamps are my favorite for this reason! This is the one I have in all 3 of my kids’ rooms and it’s great because it has a dimmer switch to keep it nice and dim. To encourage healthy sleep habits, we want baby’s sleep space to be boring. This means nothing too stimulating with a lot of loud noises or bright lights. If you want to use a crib toy with baby, the Fisher Price Seahorse is a great choice. It has soft, soothing music, a dim light, and only plays for 5 minutes. Just make sure to only press the tummy once on initial put down and don’t keep pressing it over and over as you do not want baby to become too dependent on it! 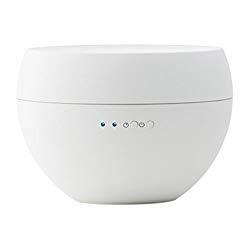 I wouldn’t call an essential oil diffuser a must-have for baby’s room, but if you use essential oils in your home, a diffuser in baby’s room can be another tool in our arsenal for healthy sleep! This is the diffuser that I use, and my favorite oils for sleep are cedarwood, lavender, ylang ylang, and chamomile. This sleepsack is the bomb! It’s a bit of a higher price point but SO worth it. The smaller size is for ages 2 months to 2 years and the larger size is 2-4 years, meaning in your baby’s life you’ll only need 2 sleepsacks [especially since they are made of merino wool - meaning temperature-regulating - so they can be worn year round!] They are hypoallergenic, super soft, breathable, stain resistant, and super durable! Highly recommend! For babies that are not yet rolling, I also really like the Nested Bean sleepsack here. Worth its weight in gold! This reverse alarm clock is so helpful for giving kids ages 2.5 and up a visual cue as to when it’s okay to wake up/leave their rooms [I still use one in my 8 year old’s room!] The key here is parental consistency, so keep in mind if you don’t enforce the clock, it will lose its magic! But this clock is a dream - I set it for 6:45am on weekdays and 7:45am on weekends muahaha! Keeping nighttime stimulation low is crucial, so we should only be changing a diaper if we 100% have to. By using an overnight diaper, we should hopefully be able to make it through the whole night [with an infant, not a newborn] in one diaper [barring a poop of course]. I like to size up for nighttime as well, just to make it super absorbent. 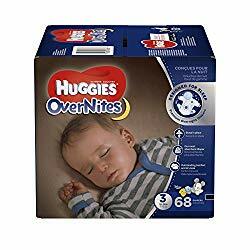 Huggies are my #1 for nighttime diapers! A humidifier is extremely helpful if baby is sick or happens to develop any hoarseness. Babies can become easily congested as they have narrow nasal passages, which can of course be disruptive to their sleep. 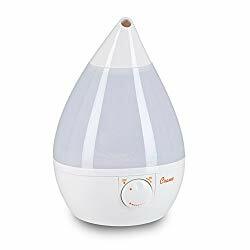 I don’t recommend using a humidifier all the time due to the risk of mold spores developing over time, but when baby is not well, a humidifier is a must! This is my favorite tool for tracking my kids’ sleep. While they unfortunately do not have an app just yet, I find it quite easy to leave the program up on my web browser and input data as I go. It tracks important data and averages and has useful functions for split naps [where baby wakes in between sleep cycles] and it logs both put down and asleep times, which I love. They also have a free 2 week trial so you can test it out to see if you like it! Some of the above links are Amazon affiliate links. I promise that I’ve personally used each and every one of these products in my own home and 100% recommend them to you.